Keyboard players are fanatical about the Minimoog - it's widely regarded as the king of the monosynths and it carries a fine legacy of recordings, as well as being the axe of choice for many seasoned keyboardists. The Minimonsta is a modern take on the Minimoog - emulating its feature set and expanding it to bring it into the 21st century. We loved its sound, its interface, and its forward-thinking features that bring a new level of interaction to modern plug-in technology. The sound: amazing! It handled the trademark sounds of the Minimoog with grace, filling our studio with luscious leads and basses and some classic FX that kept us entertained for hours. 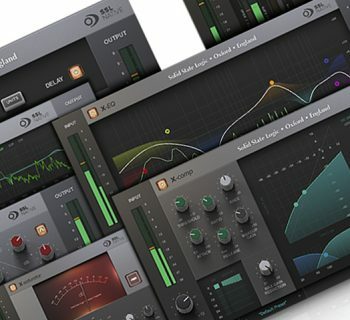 With the addition of polyphony, unison mode, and a robust modulation implementation, the sound shaping potential is very modern: huge detuned saw leads, polyphonic pads and ridiculously wild effects and sequences that really cut through a mix. 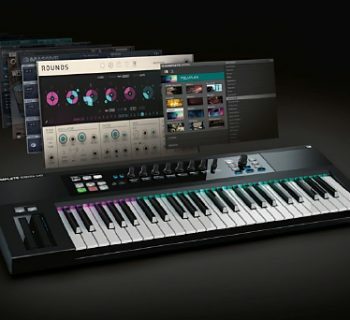 The additional Melohman feature really makes this synth shine as a performance axe, turning your keyboard controller into an expression-filled control surface. OVERALL RATING = 3.8, which earns it a WIHO Award. The interface is what you'd expect – the familiar layout and panel structure of a Minimoog, but with additional features laid out in an easy-to-access way and plenty of visual feedback from the controls and modulation. The beauty of the Minimonsta interface is in the details: knob movement is smooth and animated and knob labels glow where modulation is applied. All of this adds up to a very enjoyable experience. Overall, for Minimoog sounds you'd be hard-pressed to find fault with this synth. But you'd be remiss to just use the basic Minimoog features. Taking advantage of sound programming with the additional features, the monstrous modulation routing, and the Melohman octave will yield wonderful results. We found that while it’s billed as a Minimoog emulation, the additional features put the Minimonsta in its own league as a truly powerful and diverse synth, with an intuitive interface and enough power to get tons of usable sounds over and above what you’ll expect. The Minimonsta is an emulation of the Moog Minimoog - the much coveted and highly respected monster monosynth of days past. But that's not all, since it also adds plenty of new features. The interface is laid out intuitively: it’s based on the original Minimoog panel, with additional features placed above the panel. As with the original, the Minimonsta features 3 oscillators, with the third acting alternately as an LFO source. There is an Oscillator mixer section, with a noise source switchable between white and pink noise. The filter and its controls are to the right of this section, allowing control over the cutoff frequency, emphasis, and contour as per the original. The Loudness contour panel below the filter controls the volume amplitude. All somewhat basic, but true to the original, and a quick study to get around. If it’s not broken, don’t fix it! With the XADSR and LFO section, almost any front panel control can be modulated by an additional envelope or LFO, or via MIDI. When a parameter is controlled by the LFO or XADSR, its labeling glows blue. 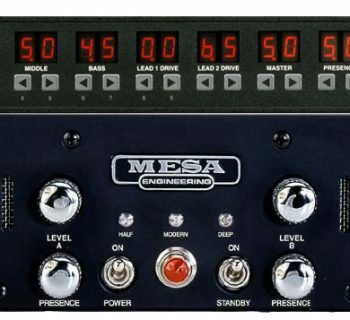 When controlled via MIDI, the labeling glows red, and when both affect the same parameter, it glows red and blue. To see what modulation is assigned, you click on the knob and the LFO/XADSR and MIDI sections reflect the settings. It's an absolute snap to set up modulation this way, and really helps to get the creative juices flowing! Not to mention, with the additional LFO section you no longer have to sacrifice the third oscillator as an LFO. The Melohman octave originally appeared in the OhmForce synthesizer Symptohm: Melohman. GForce brought this feature to the Minimonsta. To fully understand the Melohman feature, it's important to look at patch organization. While most plug-ins utilize banks of individual patches, the Minimonsta uses a “Meta patch” system, where each patch actually contains 12 other sub-patches. The 12 sub-patches can be variations on the main patch, identical to the main patch, or entirely different from the main patch. The key to this is the Melohman Octave: a user-assignable octave of keys that can be used to switch between sub-patches in real time, with a few different options for transitioning between them. This enables you to play your patch, and make significant changes to the sound without having to move your hands from the keys! 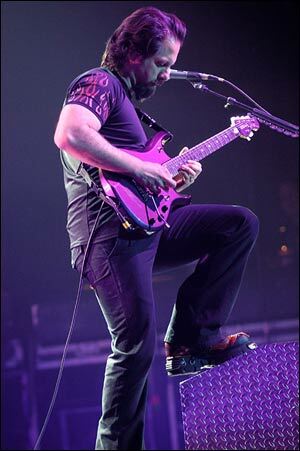 While playing, simply play a key from the Melohman octave and the sound will morph to its next state. The Melohman feature is particularly fun for leads, where the sub-patches can have different filter, oscillator tune, or envelope settings. Quickly go from a slow attack, unison lead, to a quick attack percussive plucked sound in the middle of a solo, creating real movement and responsive performance nuance. Of course, experimenting and playing the synth will help you to find the best way to use this feature. In use, we recommend at minimum a five-octave keyboard if you traditionally play with two hands, because while the Melohman octave can be assigned to any octave on the keyboard, you’ll want to place it either at the top or bottom octave for the most usability. With a smaller controller, you may find it hard to dedicate one of your three octaves for this feature, and this feature is really that cool. Last, it was refreshing to install a soft synth that didn’t require annoying hardware dongles or online activation schemes in order to get up and running. Installation of Minimonsta was a snap. Running the installer on our Apple Power Macintosh G5 was straightforward, and gave us the option to install the Standalone engine as well as our choice of VST, RTAS, and AU plug-in formats. Stability: during our testing of the Minimonsta under Macintosh OS X 10.4, we encountered no issues whatsoever running in both Logic Pro 7.1 and Ableton Live 5. CPU usage was modest, with most patches only generating an appreciable CPU load in poly mode. We don't have an actual Minimoog in our studio to do a direct comparison with, but like most keyboard players, we have great familiarity with its use and its sound from numerous recordings, samples, and other resources. In the case of this plug-in, GForce modeled it on their in-house, early serial number Minimoog, emulating all of its quirks and particular filter and oscillator characters. The manual states that over two years of work went into accurately representing the sound and response of their model, and we'd be hard-pressed to find fault with this statement. The sound is magical! Included in the patch library is a complete bank of original patches, transcribed from patch sheets of the original Minimoog. Playing with these patches is a blast from the past: creamy soulful leads, punishing heavy basses, staccato plucked leads, and drum and FX programs. We weren't disappointed! GForce also hired some big names including Rick Wakeman to program patches for the Minimonsta, and the included patch library really shows the diversity available with the new features. 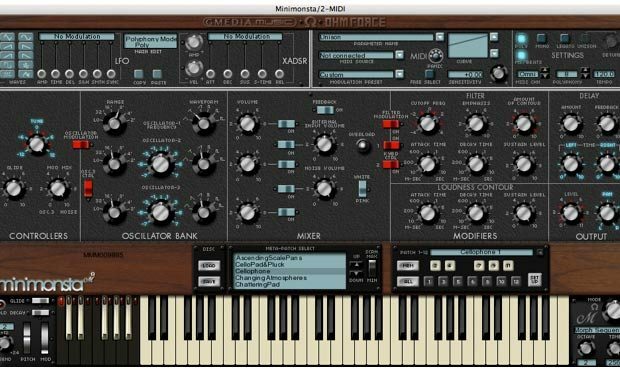 All but the original Minimoog patches are fully programmed meta-patches with 12 variations per patch. Going through the library was both eye-opening and ear opening. Without proper resources to do a scientific, waveform-by-waveform comparison, we can't state authoritatively that this is an exact clone of a Minimoog in ones and zeros - but we can say that the Minimonsta is a fantastic sounding synthesizer that when played in a mix with other instruments will sound every bit like a Minimoog to the discerning listener. Overall, full marks from us on this! The manual was concise but thorough, with a full walkthrough of all of the features laid out following the signal path of the synth. Every feature was described in concise language with diagrams and screenshots to highlight the focused area. Registration on the GForce website ensures that you receive software updates and other news, and the registration process was a painless and easy procedure. The GForce Minimonsta retails for $199.95 MSRP, or it can be purchased in various product bundles such as the current M-Audio Future Retro Pack for $449.95 MSRP, which includes the Minimonsta:Melohman, impOSCar, M-Tron, and Oddity emulations (this bundle may not be around forever, so get it while you can, if you’re interested in the other products). Even at the full retail price, the Minimonsta is an incredible value for the money.